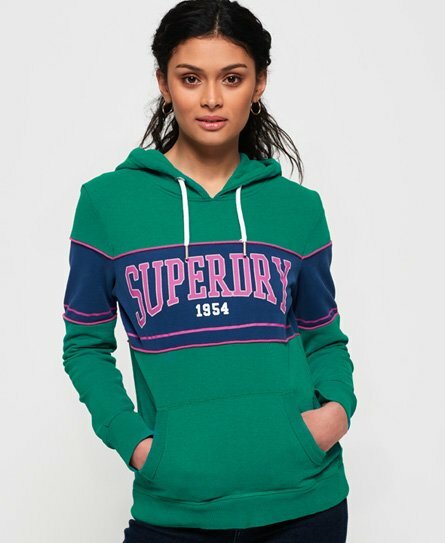 Superdry women's 1954 Mock Applique lightweight hoodie. This hoodie features one large open front pocket, a drawstring adjustable hood, ribbed cuffs and hem and a panelled design. Finished with a textured Superdry logo across the chest and a Superdry logo tab in the side seam. Perfect for layering this season with a pair of jeans and trainers for a casual look.